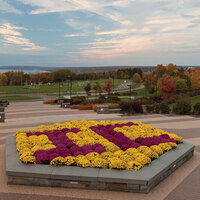 Help kick off IC's strategic planning process! Join President Collado, Provost Cornish, and Design Team Lead Prof. Freitag as they introduce the members of the Strategic Planning Steering Committee and launch this exciting college initiative. This is an opportunity to join guided conversation about your hopes for IC's future as discussions about strategic planning pivot from process to content.